Wednesday, August 2, 1911: Took lessons in driving, but even though I would like to learn to drive, I did not like that kind of lesson for the horses were old and slow, and I had to drive them in the field behind choking clouds of dust. I read this entry to my father and asked him what Grandma was doing. He says that she probably was using a roller on a plowed field. 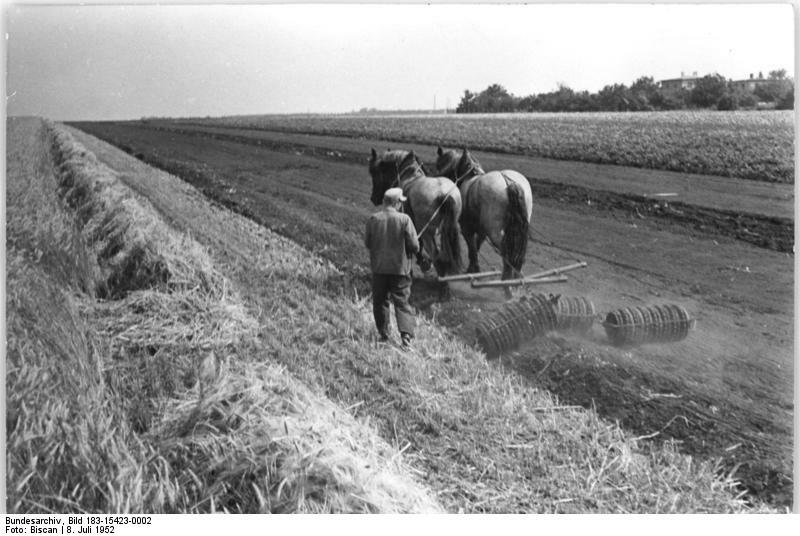 The roller would level the plowed earth in preparation for planting winter wheat seeds. The horses would have been hitched to the roller and Grandma would have needed to tighten one rein or the other to make the horses go in a straight line. I can almost picture the clouds of dust stirred up by the roller swirling around Grandma as she drove the horses.